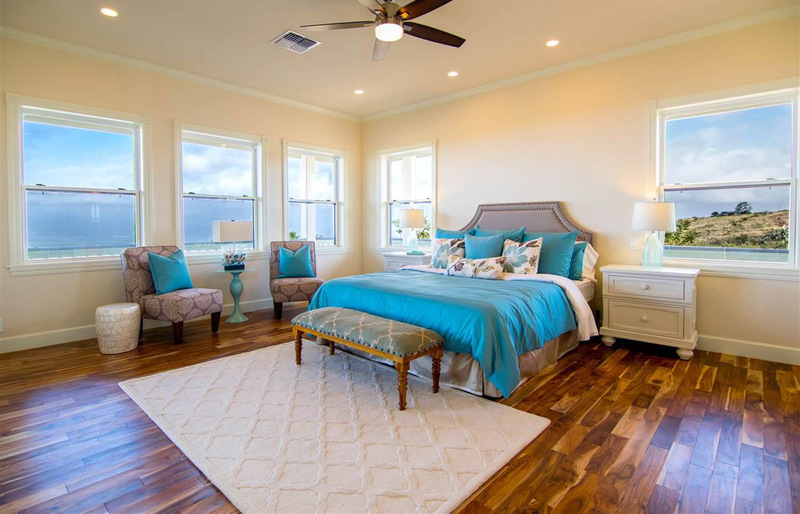 Stunning and beautiful brand new single level 4 bedroom 3 bath custom built Plantation designed home in Kula, Maui. 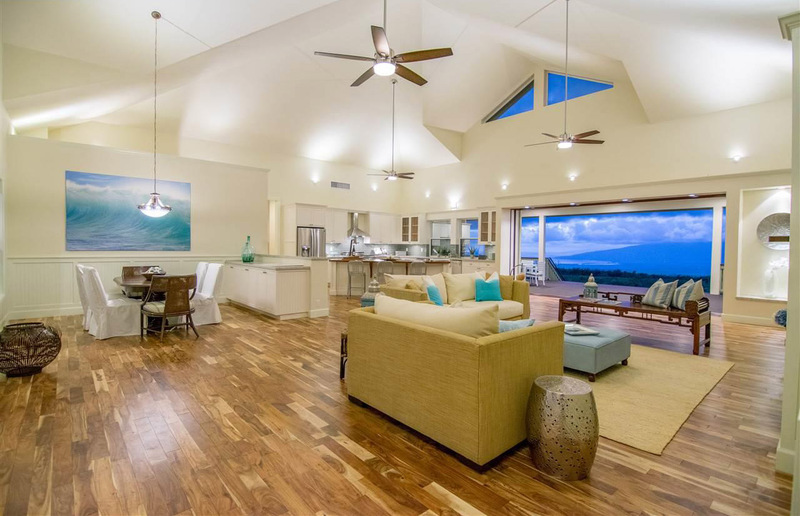 Enjoy unobstructed, spectacular bi-coastal ocean views and equally beautiful Haleakala views from this one of a kind and rare offering residing on nearly 6 acres in an exclusive community. When you think of a classic plantation home with modern and quality finishing’s, this home covers it all. You will be in awe upon your entrance through the double doors and into the truly great room that features 13’6 walls and a 22 foot high ceiling. Other details of this newly built home are the impressive architecturally designed standing seam metal roof, sliding 8ft disappearing glass doors, acacia hardwood floors, single hung dual paned windows wrapped in wood casings, 8ft solid core doors, and a mounted ethanol fireplace. An amazing back lanai with an 18 ft wide staircase leads you down to an architecturally designed and installed landscaped yard to complete this truly special home. 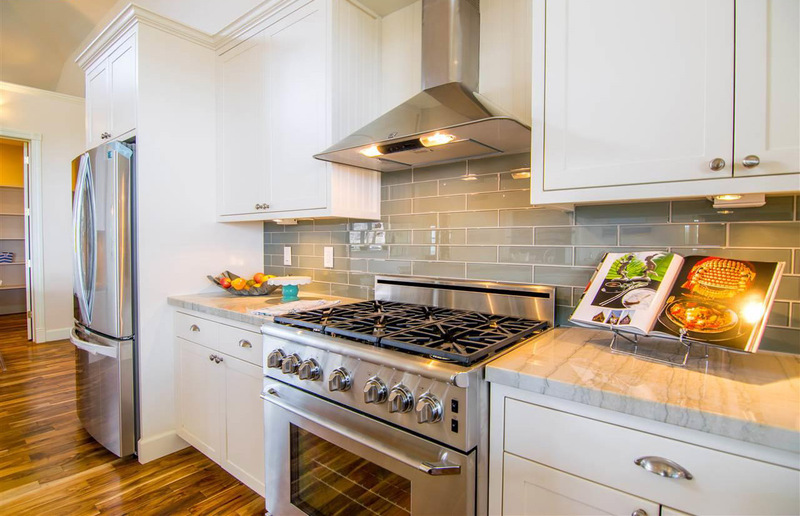 The open gourmet and chefs kitchen features an 11ft mahogany block island, quartz countertops, solid cherry wood cabinets and stainless steel appliances. The detached 3 car garage is over 864 square feet. The entire home has been designed with a low energy electrical plan for optimal lighting and features the Radio Ra smart home remote and controls. Completion of home 04/2016.